From Uncanny Valleys to CG’ed faces and bodies (in Photoshopped Values), discussions of the effect of digital technologies on how our media shapes our views on the human form and how people view and judge others have been highlighted a number of times in these pages. In the Washington Post article Hollywood’s secret beauty trick: The special effects facelift, Stephanie Merry highlights the well-hidden world of visual effects with actors and how they are used to alter the ways we see people on the screen and how they shift expectations of the general public relative to how all of us look — from small and big screens to real life. The recent case of Pee Wee Herman’s return to the big screen and his transformations by makeup wizard Ve Neill (of SyFy’s Face Off as well) along with the digital sheen by CG artists is employed as a rare example of truth telling in a field built on deception. Along with the article, the video from Flawless FX that accompanies the piece will be a real eye-opener to many students. Or most anyone else outside of the well-guarded vaults (or servers) of raw footage and VFX production houses. 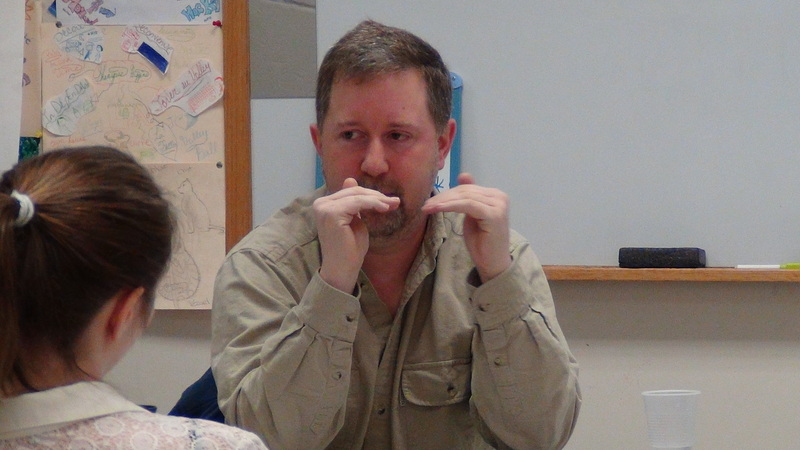 In an earlier visit with visual effects supervisor and current head of vfx at MPC Vancouver Greg Butler, he shared perspectives on the art and business of moviemaking. At a moment when screens are flooded with summer blockbusters that are dependent on obviously CG action scenes, such as Avengers: Age of Ultron and Tomorrowland, Greg Butler’s most recent project as a visual effects supervisor on American Sniper provides very interesting perspectives on one of the most important objectives of a great deal of the effects work in today’s movies: to enhance or significantly fill in visual information from what was created and captured during principal photography in ways so that it is invisible. Here is a link to a full interview with Greg Butler about his work on American Sniper to understand the degree to which Clint Eastwood’s movie is completely dependent on CG in order to create the world of its story. Butler had previously worked with Eastwood on the director’s period musical Jersey Boys. 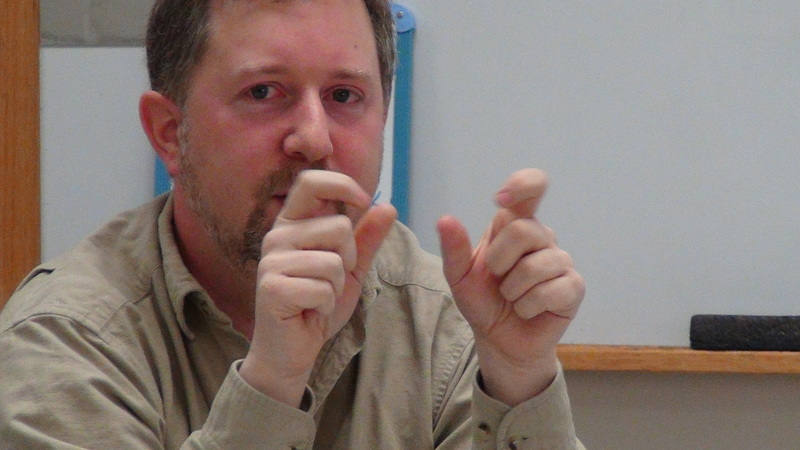 You can also check out earlier discussion of invisible effects in the earlier Close-Up interview in which Greg Butler discusses his work on Amazing Grace, among other projects. 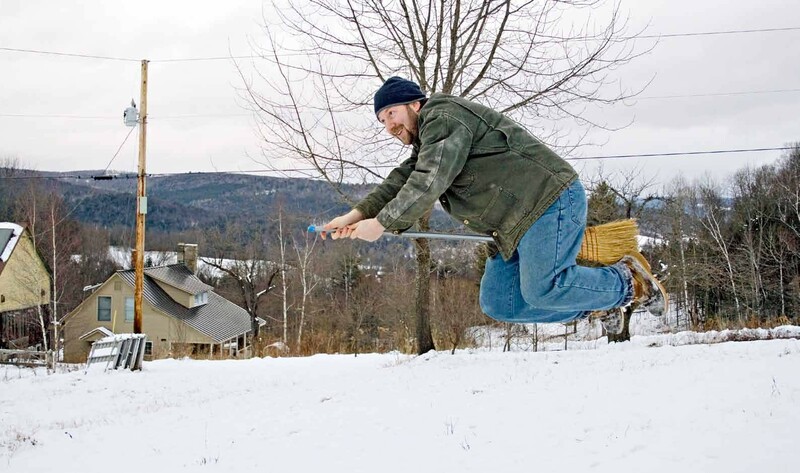 Of course, Butler has also helped to craft some of the most compelling fantastical and imaginative worlds and characters in recent years, including groundbreaking work on both The Lord of the Rings and Harry Potter series. Discussing one point in the creation of Gollum that illustrates the attention to detail that one must show in this work, he commented, “In the CG model setup, there was an invisible sphere behind Gollum’s eyelid that meant that whenever his cornea moved, the skin would bulge out in a realistic way. This is the one time we got to use it because he was sleeping with his eyes closed, and his eyes moved as if he was having a bad dream. We were proud of the fact that we got to use this technique. These were the sort of subtle nuances we were seeking out to bring him to life. We want you to be completely in the movie.” And that is the case whether you are conscious of the VFX being present or not — or if the filmmakers want you to know that they are present or not. In an earlier post regarding editing resources, I discussed a variety of editing programs used by a wide variety of professionals and educators, and here is an update for filmmakers interested in Media Composer by Avid. Cengage Learning offers a number of titles designed to teach use of Avid Media Composer and its editing, effects, and sound programs. 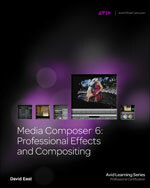 These include: Media Composer 6: Professional Picture and Sound Editing by Woody Lidstone, Media Composer 6: Professional Effects and Compositing by David East, Media Composer 6: Part 1 – Editing Essentials by Mary Plummer, Media Composer 6: Part 2 Effects Essentials, and Color Grading with Media Composer and Symphony 6. 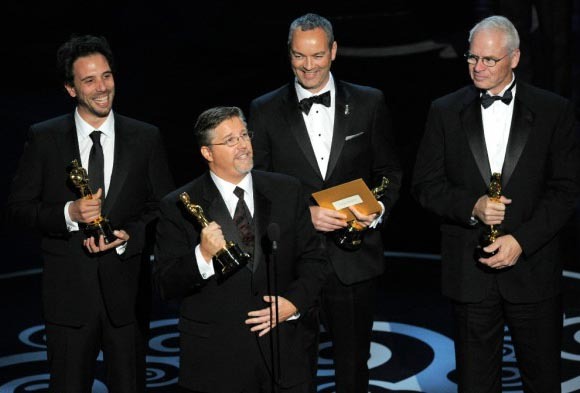 Another update since that previous post about editing, in which Oscar award-winning editors Kirk Baxter and Angus Wall are discussed, is that the most recent Academy Award winners for editing are Alfonso Cuarón and Mark Sanger, who used Avid Media Composer to edit the film Gravity. Here are two excellent interviews with Mark Sanger concerning his work on Gravity: one from Pro Video Coalition in which he specifically discusses working with Media Composer and an interview with Moviescope where he talks about the development of his career and his work with Cuarón. 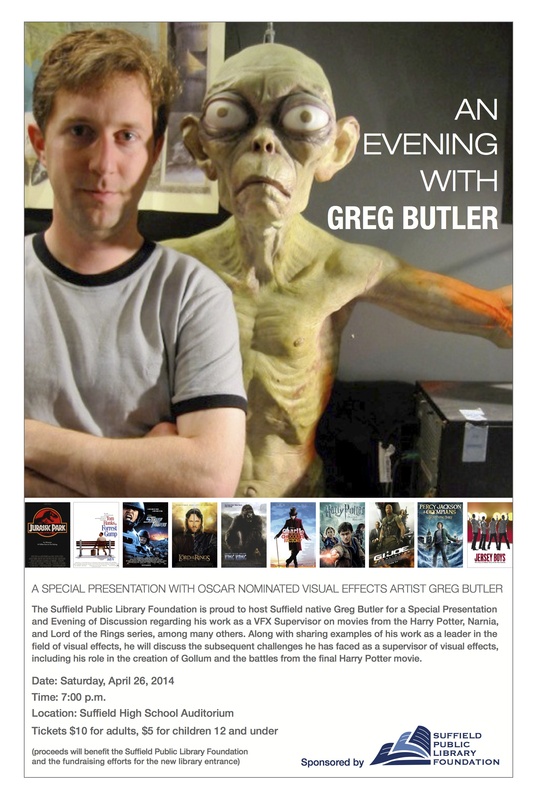 Just a quick announcement that I will be leading a conversation with award-winning VFX artist Greg Butler in Suffield, Connecticut on April 26, 2014. Greg will be sharing clips and talking about his groundbreaking career, from earlier days of apprenticeship on such films as Forrest Gump, Jurassic Park, and Starship Troopers, to his lead role in the creation of Gollum for Lord of the Rings and on to work as a supervisor of visual effects, including his nomination for the Academy Award on the final installment of Harry Potter. If you are in the area, I would recommend checking out this evening hosted by the Suffield Public Library Foundation for a fun discussion of moviemaking (see also a classroom visit and my Close-Up interview with him). This past December and January, a Media Literacy and Production class I teach was uniquely lucky to enjoy two visits with VFX supervisor Greg Butler, who currently works in an administrative position with MPC. Mr. Butler was nominated for an Oscar for his work on Harry Potter and the Deathly Hallows: Part 2, while his most recent vfx supervisory credit is for Jack and the Giant Slayer; his generosity in leading in-depth, enlightening discussions of the art and industry of contemporary vfx with our class is greatly appreciated. Here is an excellent Visual Effects Master Class interview with Greg Butler created at the time of his BAFTA Award for Harry Potter. 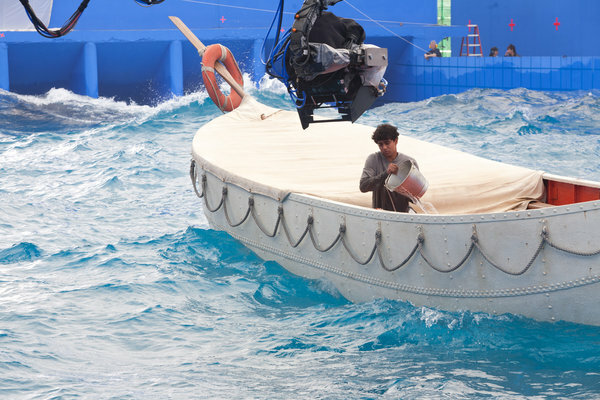 During these visits, we were able to discuss many topics and observed in-depth CG process breakdowns from the movies mentioned above and other work by MPC, including Prometheus and The Life of Pi. 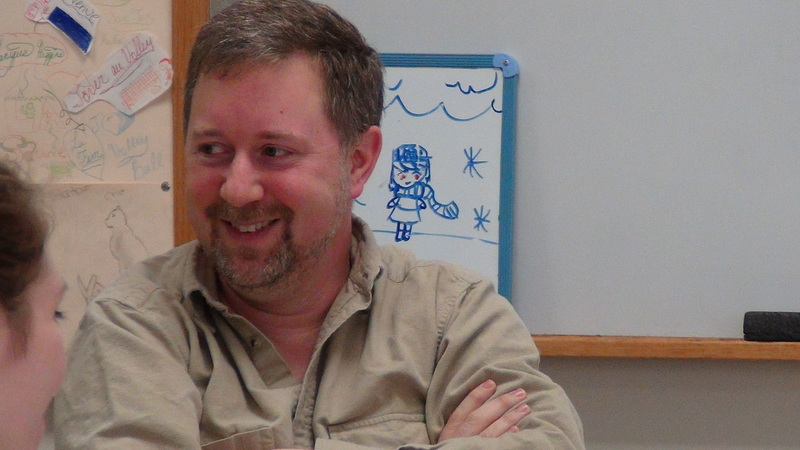 Interestingly, one theme that Greg returned to many times during our talks was the balance between creative expression and business acumen that is necessary in motion picture fields. Early on in the discussion, he spoke to the students about the ways in which a variety of coursework can help greatly when working in motion picture fields and the need to take advantage of a wide range of studies, including “business, and economics, and the ‘boring’ stuff you think has nothing to do with filmmaking,” and he cited diverse examples from his work as an administrator in vfx fields. One specific case Greg described was how when he heads production teams, his company will often have to hire accountants for creating complex excel spreadsheets and other business-oriented work that is needed, and what will typically happen is that the accountants will quit after a short time because they have a hard time dealing with the chaotic, unpredictable needs of moviemaking. Greg Butler also spoke at length about current economic difficulties being felt throughout the world of visual effects and used examples from a variety of projects, including his most recent, Jack and the Giant Slayer. This topic hit major news coverage many weeks later when the Academy Awards ceremony experienced the rather ignominious moment of visual effects Oscar winner Bill Westenhofer being played off the stage (to the Jaws theme – is that supposed to be funny??) and then having his mic turned off when he started talking about visual effects house Rhythm & Hues, which was one of the companies that worked on The Life of Pi but has since gone bankrupt. Here is an excellent article that discusses the VFX crisis and can provide interesting perspectives on how the economics of the business of creating and selling moving images can be such a complex and daunting task, even for a field that one would think is at the heart of drawing viewers and making money these days in movies — visual effects. This video is a very interesting and informative piece on the collaborative process at work between advertising and moviemaking at the vfx studio MPC. 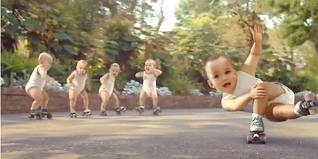 Their “skating babies” spot for Evian directed by Michael Gracey got lots of press and won advertising awards. This is a follow-up from the complete interview with vfx supervisor Greg Butler who is a Close-Up featured filmmaker in Moving Images.